Booming hot tub and swim spa manufacturer Coast Spas has launched a search for top sales professionals to boost its global team and thriving status as an innovative company ahead of hosting its International Dealer Meeting. With the IDM looming in the first month of the New Year, being staged on January 9 and 10 at the Westin Bayshore in Vancouver, Coast Spas is inviting suitable candidates to join the thriving company and help increase the presence of its respective brands in the market; including the Wellness Spa range that has recently been boosted with the introduction of the new Swim Resistance System, which will be available on all 2018 Wellness Swim Spa models; after being officially launched at the International Pool Spa Patio Expo in Orlando. This new state-of-the-art Swim Resistance System has been developed by Coast Spas to quickly move large amounts of water in a smooth and non-turbulent manner to create the perfect swimming environment. 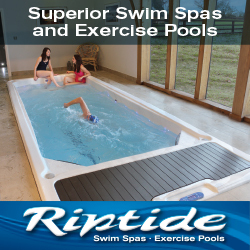 It is coupled with a new variable speed control system that allows swimmers to select the perfect speed of counter-current and a new touchscreen interface, which offers users the capability to select multiple exercise modes and access various pre-set selections tailored specifically for their ability. The Canadian manufacturer, which promotes its unique Infinity Edge design for its hot tubs and swim spas through a flourishing network of British retailers and a growing band of international dealers, is now aiming to recruit additional proven sales professionals who are motivated and talented to join its ranks to help promote a large range of patented and exclusive products. Successful applicants will receive a competitive compensation package and bonus opportunities while representing a pedigree stable of cutting-edge brands. These include the WhatSpa? Best Buy Award-winning Coast Spas models; as well as WhatSwimSpa? Best Buy Award-winning Wellness Spa models, Northwind Hot Tubs, Tublicious and Silk Spas. Applications with CV or resumes should be sent via email to: careers@coastspas.com before the November 30 deadline. Coast Spas has revealed that during the application process a priority will be given to candidates with an intimate knowledge of retail sales and an understanding of what motivates customers to purchase, and how to help businesses grow, while being more profitable. Priority will also be given to those with an extensive referral list; and those who are computer literate with skills that involve Microsoft Office, as well as Social Media Applications and websites; as well as having organisational, communicative, management and customer service skills. “As part of the Coast Spas Sales Team, the chosen candidates will have a large advantage over the competition with a library of patented and exclusive products that are in high global demand,” reported Coast Spas Marketing Manager Oran Wakelam.